This statistic presents a forecast regarding the mobile app consumer expenditure worldwide from 2018 to 2023, sorted by app store. In 2023, consumers are projected to spend 60 billion U.S. dollars on mobile apps from the Google Play Store. 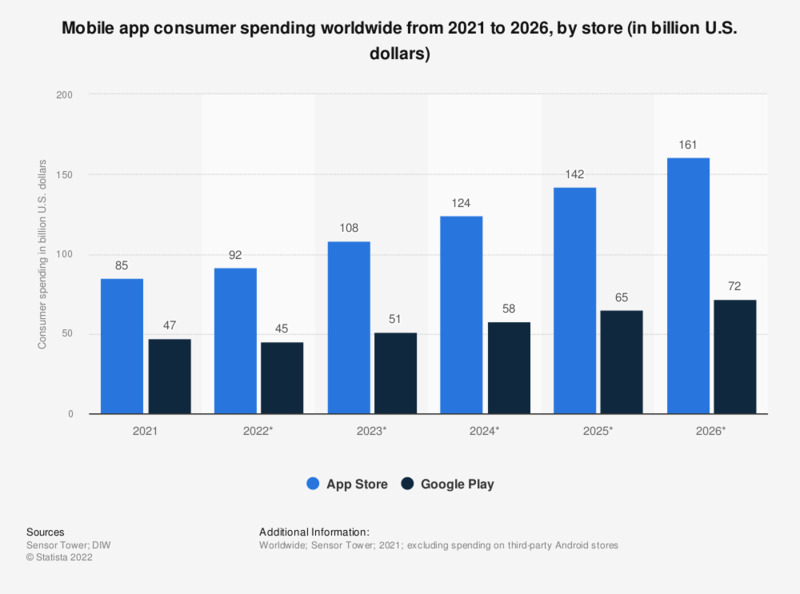 Combined user spending in the App Store and Google Play is set to reach 156 billion U.S. dollars by 2023, representing a 120 percent growth from 2018.